Photonflowers, Director's Cut patch, Collector's Box Design Poll and Schwarzesmarken Update! We've got quite a few updates to share, and we're sorry for taking quite some time since we were busy preparing for Comiket 91. We'll be at booth #3344. Hope to see you there! 1. The Director's Cut patch will be released on Denpasoft this November. All backers will be receiving the patch for FREE regardless of contribution level. We will provide the download keys to your BackerKit link whenever it's ready. Please look forward to it! We aim to wrap up all of our Kickstarter commitments before mid 2017, and with the help of Philip and Alternative Projects members Albedo, Suffolk, and Kevin, it's now possible for us to work on Photonflowers and Muv-Luv Alternative's translation simultaneously. This will give us a head-start on Photonmelodies as soon as Muv-Luv Alternative is complete. However, please note that the development of the aforementioned games will be done separately, ie. Photonflowers may be released some time after Muv-Luv Alternative's Vita port completion. 3. Schwarzesmarken's second visual novel, Junkyousha-tachi will be released this coming October 28 in Japan! There will be no updates for the localization of Schwarzesmarken until all of our Kickstarter commitments are complete. We've been doing quite a lot of prep work to ensure no delays will happen with the rewards' production schedule, making it possible to deliver them in a timely manner after Muv-Luv Alternative's PS Vita release. In order to maximize customers' satisfaction, we've opened a poll for Muv-Luv backers to decide which two artworks they would like to see the most for the collector's box' cover design. You can click on the link below to participate! The poll will end by November 20, 2016, and we'll reveal the selected designs and poll results by then. Thank you very much for taking the time to read our update, and feel free to shoot us an email at muvluv@degica.com if you have any questions or concerns. Justin Dizon, Raithos, and 53 more people like this update. Where, as a backer, do I get this patch from?? Been over a month since the update, whats going on? When do the dakimuras get finished and shipped? Any update on those? Whats with the sour angry people in the chat? if you are here, that means you get it free anyways. What happened with Vita version? Did I waste $90? There seems to be a lack of news about the Vita version, especially considering it's estimated to ship in October 2016. I ended up going with Illustrations 9 and 12: the former for its striking sci-fi movie poster look, the latter for the wistful feeling it evokes when viewed within the context of the trilogy as a whole (i.e. harkening back to more innocent times). The fact that both illustrations featured the entire main cast was also an important factor. You're right, I gotta be respectful on KS comments, my bad. Next time I will go with "Hope no one buy it", it should be respectful enough for KS. @FaceEater MK II: Whatever your feeling towards Sekai Project, advocating piracy of a product on the developer's own update announcement is extremely disrespectful. Take that crap elsewhere. Anyway, a bit like outlaw4188 said, I think adding a choice in the poll "just use the original illustrations" (from 2003 & 2006) would be nice, I'd pick this one. I think it would be the #12 for ML Extra & the #8 for ML Alternative ? Could we be spared the love/hate towards Sekai Project here please? For some reason people always seem to think that everybody has a Google/Facebook/Twitter/Instagram/Myspace/LinkedIn/nao/FidoNet/whatever-account, but there are actually people who don't and who for one reason or another can not or will not create one either. If SP would get money for selling the patch at their site, then I hope it gets pirated a lot. the less money they get, the better. 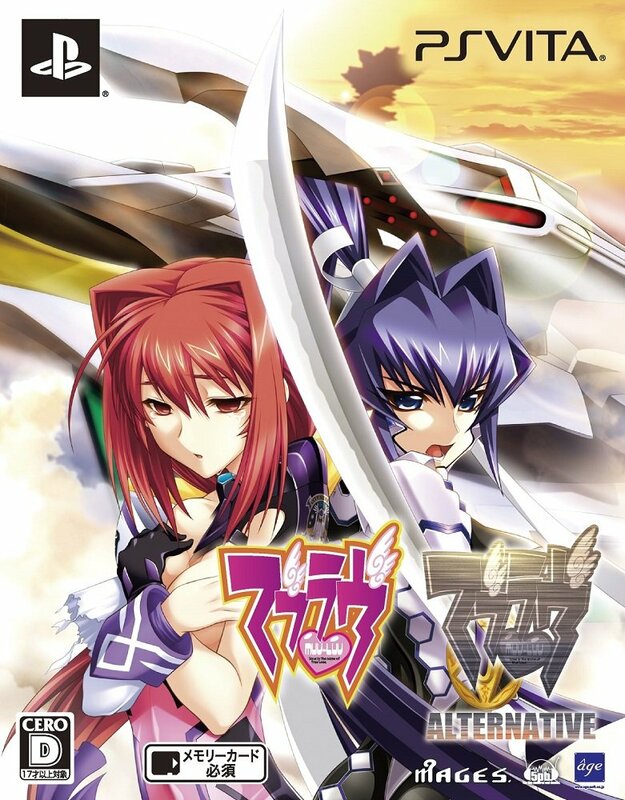 Okay I have a question because I only got into these games about 2 years ago I know these illustrations are from other covers from the past games but I would like to know what illustration was used for the first release of these games like for the first original release of muv-luv in Japan back in 2003 what illustration was the original cover art and for Muv-Luv Alternative when it got released back in 2006 what illustration was the original cover art for it if someone can please let me know I would really appreciate it. Yeah I went with 7 and 10 too! Now to wait for that nice patch! I picked #7 and #10. They may not be the two coolest pieces of artwork, but I love the contrast between the two sides and think it'd make a cool box. One side, two happy characters, other side, 2 same characters now combat hardened. Awesome contrast. @FaceEater MK II Advocating piracy on the Kickstarter comments, huh? Keep it classy. The patch will be released in Denpasoft? Really? Having MG and DL, you choose Denpa? Hope it gets a quick "release" in nyaa. Why wasn't there something about the Windows 10 Anniversary full screen bug? It would be since to know when they are thinking about getting a patch out for it. Damn, I just love getting updates from this project. Voted #2 and #7. I think they both look amazing; especially #2. That said, I'd be fine with any of them since they all look awesome. I hope there's some *alternative*, if some of artworks with just one heroine end up winning, as a Sumika fan I wouldn't want a box with just Meiya in it. @Aaron Fox Thanks for your attention. I forgot that we will have two boxes. >"The poll link just leads me to a Google login form instead of a poll?" You need to log in with a google account and when you submit your poll you need to enter your Backerkit email. The poll link just leads me to a Google login form instead of a poll? Ended up with 3 and 8 in the end. wondering how the box would look like with horizontal and vertical illustrations? also wondering if like the rest of the stuff, can we get a brand new illustration for the kickstarter box since, this is you know unique from all the others? Glad for an update finally thanks admins! >"But I would never have guessed that was an official illustration already used." All of them are official illustrations that were already used for the various Muv-Luv releases throughout the years on PC, Xbox 360, PS3 and PS Vita. >"Maybe it's just me, but I think that Sumika's face really looks off on the #7, she looks older ?" That illustration is one of the newest ones, it was used for the PS Vita Double Pack Box Art released in January 2016. In comparison Illustration #3 and #9 are some of the oldest ones as these were the one used for the original Muv-Luv Alternative release from early 2006. PLEASE BRING BACK THE CONFIGURATION OPTIONS FOR THE TEXT. IT WAS ONE OF THE BEST THINGS THE ORIGINAL GAMES HAD. Maybe it's just me, but I think that Sumika's face really looks off on the #7, she looks older ? Or maybe it's her eyes ? But I would never have guessed that was an official illustration already used. Went with #2 and #7. I like more than one character being in focus, and images that don't have a bright background (easier on the eyes). Plus, gets a robit in there. The reason I chose these particular two is that these were the two illustrations officially used in Japan when both Muv-Luv and Muv-Luv Alternative were bundled together in a release. It uses the art that is titled as "Illustration #1" in the poll. It uses the art that is titled as "Illustration #7" in the poll. 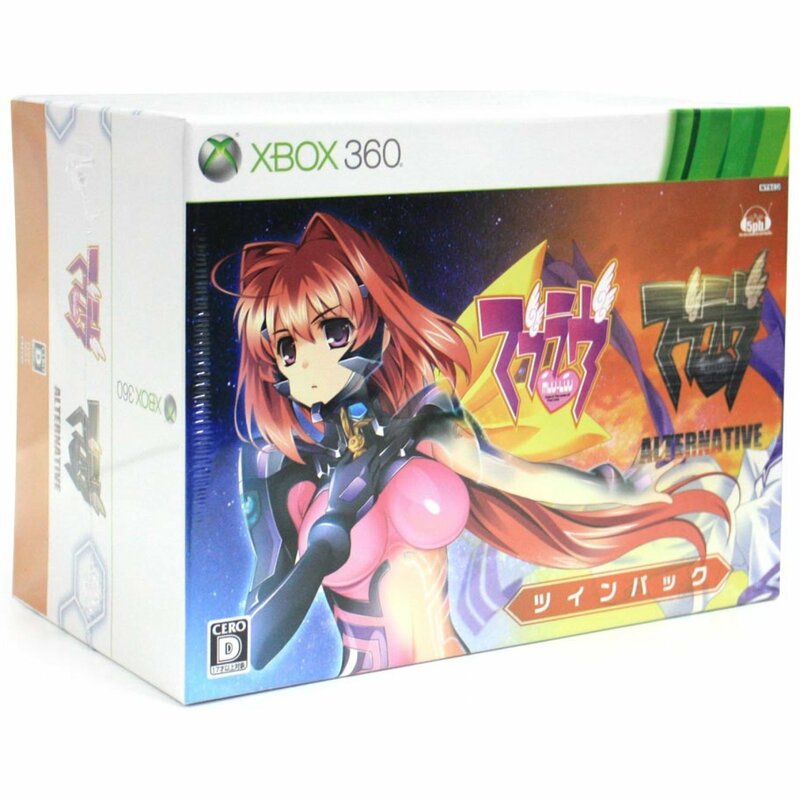 I think these are the most fitting, as the Collector's Box will contain both Muv-Luv and Muv-Luv Alternative and the Box Art should reflect on that, all the other illustrations were used for a single game only such as Illustration #13 which was used as the front cover of Xbox 360 Muv-Luv and Illustration #8 which was used as the front cover of Xbox 360 Muv-Luv Alternative similarly Illustration #10 was used as the PS Vita front cover of Muv-Luv and Illustration #2 was used as the PS Vita front cover of Muv-Luv Alternative etc..., I don't think that these are very fitting for the Collector's Edition Box Art. What will be the price of the DC patch for non-backers? Some of the illustrations are more horizontal and the others are more vertical. How to you plan to use them? Either they will be cropped or some filler will be necessary. This choice is very hard. The fact that I could barely decide (3 and 4 for me in the end) just means that I'll be happy with pretty much whatever wins. I went with 8 and 9. Maybe will exchange one of those to 3. Mostly because those are Alternative-oriented. It was a hard choice, but i really like 1 and 7. I'll be honest I am having a hard time picking. None of the options on the poll really stand out for me. Aaaah, I have no idea which one to choose... They all look cool.